This new business unit will support start-ups in advancing their projects and turning them into businesses, relevant and scalable, giving them access to Ficosa’s and Idneo’s assets, such as their technology, global reach, industrialisation and productization capacity, professional’s team, client portfolio and knowledge of the various sectors in which the group operates. Onboard Ventures will promote innovation in the corporation with the aim of expanding business and providing ground-breaking new solutions for clients. 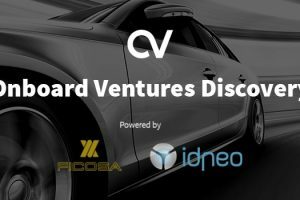 Ficosa, a top-tier global provider devoted to the research, development, manufacturing and marketing of high-technology vision, safety, connectivity and efficiency systems for the automotive and mobility sectors, presents Onboard Ventures. This new business unit will support start-ups in advancing their projects and turning them into businesses, relevant and scalable, giving them access to Ficosa’s and Idneo’s assets, the Ficosa group engineering firm specialized in developing high value-added technological products. In this way, Onboard Ventures will give start-ups access to the group’s assets, such as their technology, global reach, industrialisation and productization capacity, professional’s team, client portfolio –which includes the leading automotive brands in the world– and knowledge of the various sectors in which both companies operate (automotive, industrial, energy, medical equipment, etc.). Onboard Ventures has been created with the mission of establishing a mutually beneficial business relationship with technology start-ups. This open innovation initiative aims to identify start-ups in the automobile, mobility, industry 4.0, medical equipment and smart vision systems sectors that can benefit from the know-how and Ficosa’s and Idneo’s capacities. “This business unit goes beyond venture capital. Although it may offer financial support, what sets it apart is that it is based on allowing start-ups to take advantage of all Ficosa’s and Idneo’s potential to develop their ideas and projects successfully and generate new business opportunities. Above all, the mission of Onboard Ventures is firmly focused on achieving clients, which is the main need of a start-up”. Onboard Ventures will help Ficosa and Idneo to accelerate exploration in new technology, capture innovation and disruptive ideas that can expand business and provide new solutions for clients. In this sense, collaborating with start-ups is an excellent and more flexible way to leverage innovation from outside the organisation, which allows new business opportunities. Onboard Ventures has already launched its first two programmes to collaborate with start-ups, which offer different alternatives depending on how advanced the project is and its needs. In the Discovery programme, which is geared towards early-stage projects, start-ups work hand-in-hand with a professional’s team from the organisation to turn their idea into a finished product. They will also help raising awareness and promoting the project with important clients. Candidates can apply using this link www.onboard.ventures until 31 March. The projects selected will have the chance to have a booth at 4YFN Mobility Barcelona, held on 11 and 12 May at the Automobile Barcelona fair. The Open Innovation programme focuses on projects in a growth stage that already have interested clients. This programme offers them the chance to create a joint venture, through a commercial deal, giving them access to Ficosa’s and Idneo’s portfolio and promoting projects to give them global reach. This programme is ongoing and there is no deadline for applications. Onboard Ventures will be presented on Monday 27 February at 12h at 4 Years From Now (4YFN), the Mobile World Capital Barcelona start-up platform. This event will take place from 27 February to 1 March, aiming to put start-ups in contact with investors and companies that can help them launching their projects. Within the framework of 4FYN, Onboard Ventures will hold meetings with several start-ups to explore collaboration options.